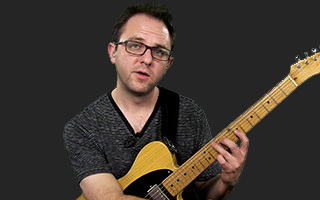 It's time to start looking at yet another mode of the E major scale. Working our way down to no accidentals, we find ourselves in the key of G and E Aeolian. Ian starts in reverse for the look at this mode, covering the lowest three strings.